I worked at this show at the box office and also on the floor seating customers. Mr. Leiber man was THE manager and a very nice person to work for. I worked there in 1965 and Ferndale was a great CITY back then with all the stores opened on nine mile. There was Federal, kreskges, Woolworth, Neisners, Winkelmanns, bakers shoes and Haig shoe store plus Cunningham drug store and much more. Ferndale was a booming little town. Loved it back then. Contemporary newspapers show the Radio City Theater opened 17 February 1937 and closed 31 August 1977. Forty and a half years. I'll try to post pix of the newspaper articles. 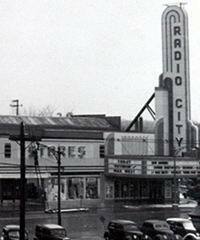 The Radio City theater was one block north of Nine Mile Rd. on the west side of Woodward, at the corner of Vester. In the early ''50''s admission was 14 cents if you were under 12 years old, 25 cents if you were 12 or older. I got 15 cents allowance each week so that left one cent for a penny candy. During the last week of school every spring we would get a flyer from the theater listing all of the movies that would be shown during the summer on the same day of each week (Tuesday or Wednesday?). The special showings would consist of two feature films, 5 color cartoons, and a serial that continued each week through out the summer. There was also a wacky race clip. 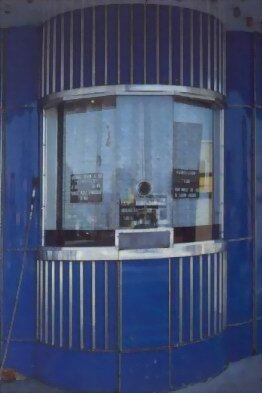 If you had recieved the number of the winning racer when you entered the theater you won a prize. If you were a member of the safety patrol at y0our school, you got free admission. Radio City was the Fancy theater (across the street was the Ferndale theater) and to attend an afternoon Saturday show was. 25 cents. Ferndale Theater was. 15 cents, however, it always had the 2nd rate or much older movies. What I remember most was that it was air conditioned. Most of the time, there would be two movies, all for. 25 cents, and between each movie there would be an old funny flim strip of a race of some sort. Either a bicycle race, horse race, etc. , but funny. If you held the number of the winner (on your ticket) you would receive a prize. This all took place in the 50''s. The 1,000-seat Art Deco-style theatre was opened in 1937, as part of the RKO circuit. The theatre was located at the corner of Woodward Avenue and Nine Mile Road in Ferndale (at 22975 Woodward). It was operated by Suburban Detroit Theatres in the 60s, which remodeled the Radio City in 1964. It was closed in the early 70s, and has since been razed. Used to go to this theater a lot in 1960s. It was in pretty good shape then. Remember seeing Disney flicks there and getting scared watching The War of the Worlds. Used to be a popular theater. About the only thing this 1,000 seat neighborhood theater had in common with its New York City namesake was that it was also built in Art Deco style. It opened in 1937, as part of the RKO circuit (which in the metro Detroit area also included the RKO Downtown-originally the Oriental, and the RKO Uptown, better known by its later name, the Six Mile). It was operated by Suburban Detroit Theatres in the 60s, which remodeled the Radio City in 1964. It was closed, however, by the early 70s, and has since been razed. Cinema Treasures Link. Originally opened as an RKO theater in 1937, the Radio City was remodeled in 1964 by Suburban Detroit Theaters and it operated into the early 1970s.